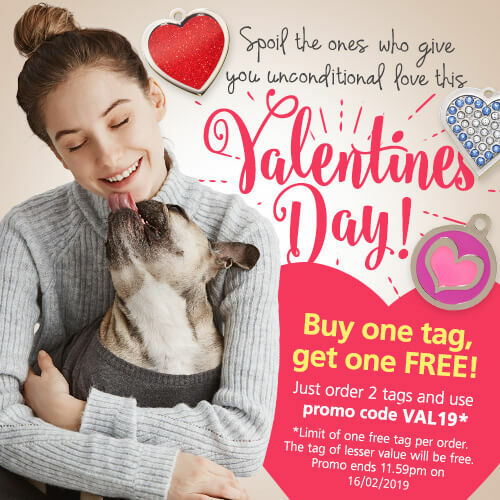 Here at Pet-tags.com, we offer a wide range of cat tag designs and shapes to suit every cat, from the malleable Rag Doll to the sophisticated Siamese to the gorgeous Russian Blue. Choose from our huge range. 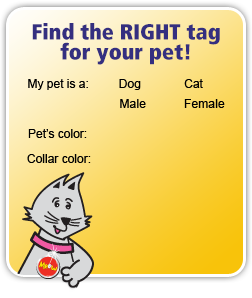 Keeping your feline friends safe is a priority for all responsible cat owners, and the best way to ensure their safety is by getting them to wear an engraved ID tag, complete with their name and your contact details as well as any important medical or microchip information. This small, yet essential addition will ensure your cat is always returned to you if they are found. With a broad range of stylish cat tags available, you will be spoilt for choice. Select from a fancy a fish for your greedy puss, a pretty cat face or bow for your pampered princess or even a sparkly heart shaped tag, complete with Swarovski crystals. Cats love to struggle against our love and cuddles at the best of times, so make life easier for yourself and attach your cat tag to the collar with our lightweight eZeClip attachment and save your hands a scratch or two! Engraved using the latest technology, you can be sure of quality finishes on all our tags. We guarantee your cat ID tag against fading for 5 years from the date of purchase. All cat ID tags are guaranteed for 5 years from the date of purchase against breakage and fading. Also, should you lose any crystals in your Bling tag during the first year, we will happily replace your tag. 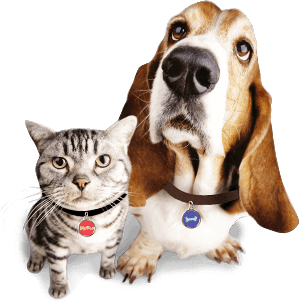 Made from a range of materials including brass, stainless steel and aluminium, our cat ID tags are suitable for cats of all shapes and sizes.